Ergomed and PSR joined forces together to create a leading orphan drug development expert team that will allow our clients to implement patient driven solutions in their clinical trials. Patients will define our future landscape, including the rise of both precision and preventative medicine. Learn more about our combined unique skillset. PSR Orphan Experts is a full service CRO and the leading expert in assisting biotech and pharma companies with orphan drug development. PSR is specialized in designing and executing complex clinical development programs requiring innovative regulatory and clinical approaches in both Europe and the US. Learn more about PSR’s patient focus. Orphan drug trials are not just smaller versions of large trials and have specific requirements. Therefore, the need for integrating different services to tackle practical and logistical challenges is key to success for orphan drug development. Click here to learn more about the services PSR offers. PSR’s experts are involved, approachable and pro-active. Of course, that’s only one half of the story: we’re also clever and knowledgeable. But such qualities are of little use unless the team-members are also happy and open-minded. If there’s a bump in the road, it’s easier to stay constructive and creative. PSR is committed to deliver a good job, with a lasting impact: for ourselves and for the clients and patients we work with. Want to know why? People living with a rare disease are at the center of everything we do at PSR. We focus on the rare disease patient, and how to make a positive impact on their lives. Our passion to work in the clinical research industry is to contribute to better health and effective treatments for patients suffering from serious diseases for which often no adequate treatment exists. That is why we are in this business. In various ways we try to help these patients and make their voices heard. Want to learn more on PSR’s involvement with rare disease patients? Click here for our patient engagement activities. 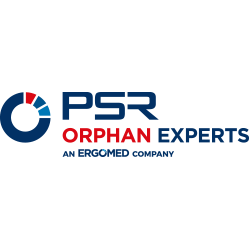 PSR Orphan Experts is a full service CRO and the leading expert in assisting biotech and pharma companies with orphan drug development. PSR is specialized in designing and executing complex clinical development programs requiring innovative regulatory and clinical approaches in both Europe and the US. Patients will define our future landscape, including the rise of both precision and preventative medicine. Learn more about PSR’s patient focus. Rare disease clinical trials are not just smaller versions of conventional clinical trials and therefore require an innovative approach. By combining Ergomed’s global reach and site management model with PSR’s specialized focus on orphan drug development, we will continue to improve the lives of patients and their families impacted by rare diseases across the world. PSR successfully managed over 300 projects in pharma, biotech, CRO and academia, distributed across our various services in different therapeutic areas. Creating a true partnership with dedication to rare disease patients and our clients, in order to make a positive impact on the lives of people with rare diseases is what drives PSR and its team. Both PSR’s input on delivering new treatments for rare disease patients and our participation in fundraising activities exemplify our dedication to the rare disease field on a business as well as on a societal level. What percentage of rare diseases affects children?